The Detour is an American 30 minute scripted comedy television series, which kicked off on March 27, 2016, on TBS and is broadcast every Tuesday at 22:30. The show is currently in its 3th season. TBS has officially confirmed the renewal of The Detour for Season 4. The exact release date is yet to be announced so far. Sign up to track it down. 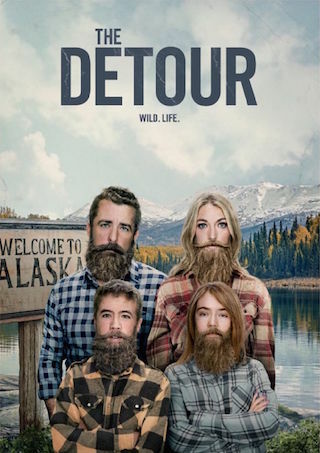 The Detour is a what-in-the-living-hell-is-wrong-with-this-family comedy featuring unfiltered dad Nate, who hits the road with wife Robin and kids Delilah and Jared. Every leg of their trip is fraught with disaster as they encounter one hellish turn after another. If there's trouble on the road, this family will find it and plow into it.